From April 28 - May 22, 2016, Mercury, the planet of communication and thought, will move backward through the practical Earth sign Taurus. While Mercury is backpedaling in this sign, we'll all have a sobering opportunity to revise our plans about the material side of life. Perhaps your budget needs an overhaul. Or, it's possible that you need to reconsider how you're using your talents in order to earn money. Whatever the details, you have an opportunity to recalibrate your approach to finances and strengthen your mental self-worth muscles in the process. 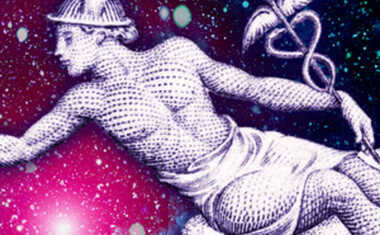 How will this Mercury Retrograde impact your sign? Read your horoscope below to find out! Find clarity during this time of reversal and renewal with help from a Self-Healing Analysis Tarot reading. With Mercury retrograde in Taurus, smack-dab in your earned income sector, you'll have a special lesson to learn regarding your financial world. Perhaps you have been overspending or not considering how much your expenses have changed in recent months. Now, you may have a reality check that forces you to cut back in certain areas. This will also be a great time take stock of your possessions and consider if you're defining too much of your self-worth on your material possessions. Mercury retrograde in your sign might feel like you're walking around in a mental fog at first. You try to convey your thoughts with clarity, but somehow others aren't getting it. Or, it's possible that you're second-guessing yourself and a few major decisions you made recently. Now is not the time to make any radical changes or new decisions. It is, however, a good time to reconsider what you can do to make yourself a better communicator all around. With Mercury retrograde in your 12th House of Secrets and Hiding, it's possible that your unspoken words will begin to frazzle you more than usual. Consider what it is that you're trying so hard not to confront. If you're pushing problems away in the hopes that a "speak no evil" approach will work, then you're about to be sorely disappointed. The good news is that you'll be able to gain awareness that can help you move on with the help of someone you trust. If you and a friend begin to have problems during this Mercury Retrograde cycle, do your best to exercise patience and understanding. Miscommunication in your social life is all too possible when Mercury is retrograde in your 11th House of Friendship. The good news however, is that you may reconnect with a friend from your past who finds you through a social media outlet or at a function you attend. That would be wonderful. If you notice that career plans are stalled, do your best to remain calm and carry on. Because Mercury will retrograde through your professional 10th house, communication with higher-ups might not go as planned. Another possibility is that you'll have an opportunity to revisit an important decision about your career. Re-evaluating your goals will be an excellent way to use this retrograde phase. Don't push for success now. Let ideas and plans simmer. If you're embroiled in a legal battle, you may have to endure some frustrating delays ahead. It's possible that a court date will get pushed or that you'll have a series of missed calls/appointments with your lawyer. Another possibility is that you will have a difficult time locating important documentation that will help your case. Remember, Mercury Retrograde is not trying to derail you. This cycle is merely helping you refocus on what requires your attention and clarity. This Mercury Retrograde will be an ideal time to reassess your financial goals. Have a discussion with your advisor and take a good look at your current portfolio. You might make a few adjustments that will be quite helpful in the long run. Another possibility is that you may feel that your accountant or advisor is not the right person for you. Before you fire this person, think it through. Decisions made during Mercury Retrograde often don't stick. If you're certain, wait until Mercury turns direct. Then find someone new. It's time for relationship rehab. Mercury will be retrograde in your partnership sector, and it's possible that you and your mate will experience a bit of miscommunication. If you are sending each other confusing messages, or if you are having a difficult time making a vital decision together, take a giant step back. Go within and decipher what it is that you might be doing that is detracting from more positive exchanges with your mate. It's not all on your partner. Mercury retrograde in your work sector might feel like a blessing and a curse. On the one hand, you'll have an excellent opportunity to polish up any of your assignments in order to truly make your projects shine. Editing will go exceptionally well. On the other hand, however, you might notice a few communication snafus at the office. If you and a colleague start to have a misunderstanding, try not to allow it to get out of hand. If you're dating someone, it may be difficult to decide how you really feel as Mercury retrogrades through your 5th House of Love and Romance. You may vacillate between feelings of love and uncertainty about your future together. If that happens, allow it. Don't try to figure out everything now -- it'll only drive you crazy. Also, it's possible that a misunderstanding between you and your lover will prompt you to make a rash decision. Do your best to remain calm, and recognize that your perspective may be a little off during this retrograde. Mercury will retrograde in your home and family sector. As a result, you might have to navigate some frustrating communication waters with your clan. If you and a relative can't see eye to eye on a vital matter, try to shelf it for now. Give each other time to marinate your respective viewpoints, and for now, agree to disagree. You'll likely find that once Mercury turns direct, you're able to compromise much more easily. 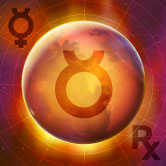 With Mercury retrograde in your message sector, you might be more susceptible to communication snafus during this cycle. Be sure to obey the usual do's and don'ts of Mercury retrograde, which include not signing contracts, not making important new decisions, and avoiding buying any electric or big ticket items. Double check all vital correspondence and be sure to allow for extra time if you're traveling. Thinking about buying a new car? Wait.